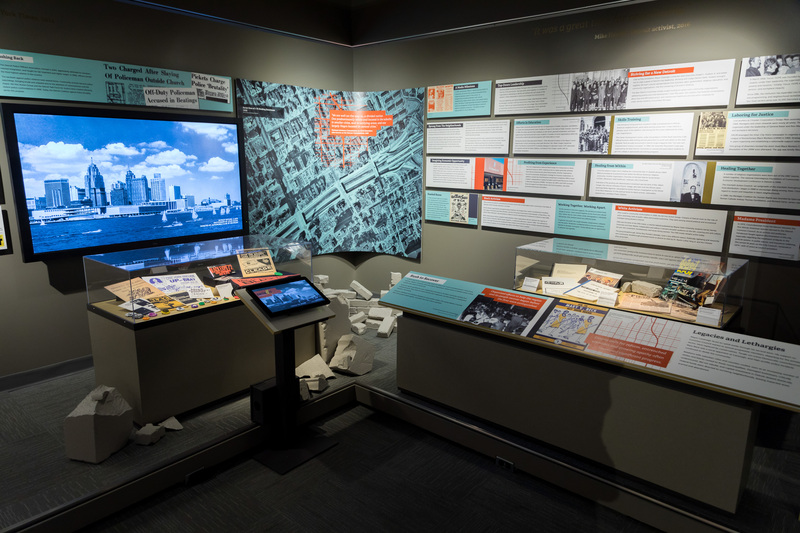 Detroit 67: Perspectives - Detroit Historical Museum Examines the events of July 1967, what led up to them, where we are today and efforts that are moving Detroit forward. 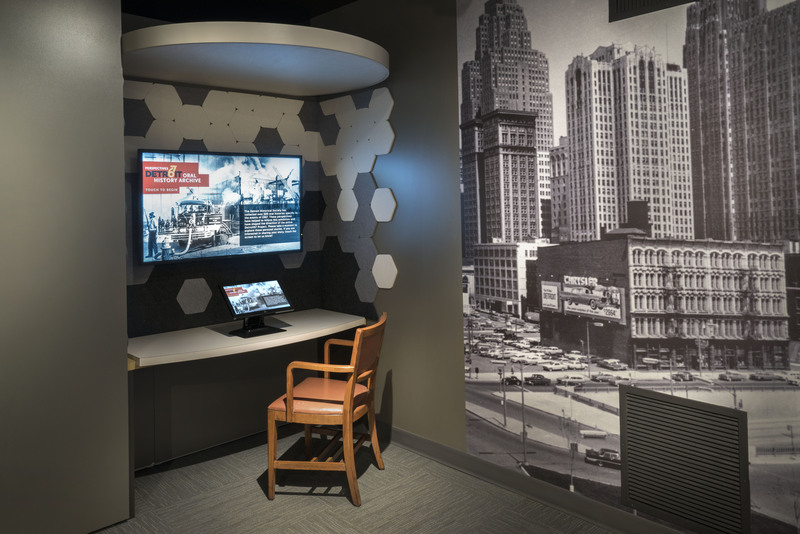 Detroit 67: Perspectives - Detroit Historical Museum The Detroit Historical Society collected 500+ 1967 oral histories, housed online and accessible from this kiosk. 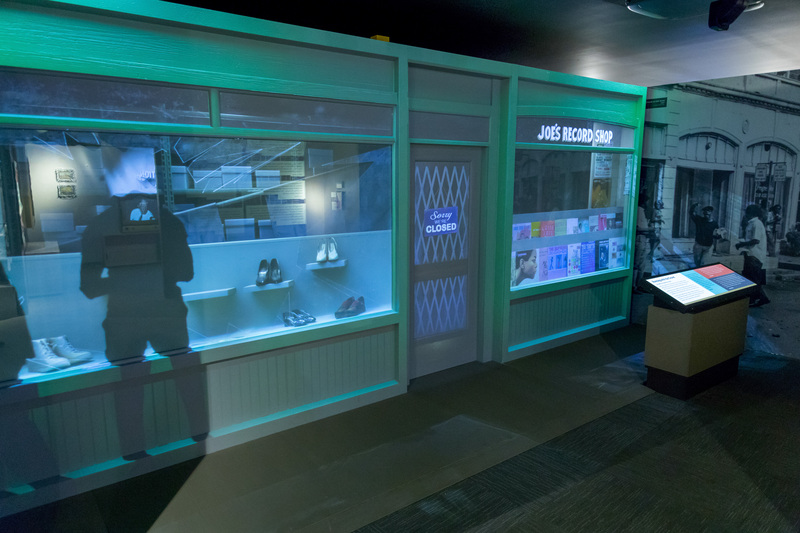 Detroit 67: Perspectives - Detroit Historical Museum Joe's Record Shop was located on 12th Street and is reconstructed in the exhibit. 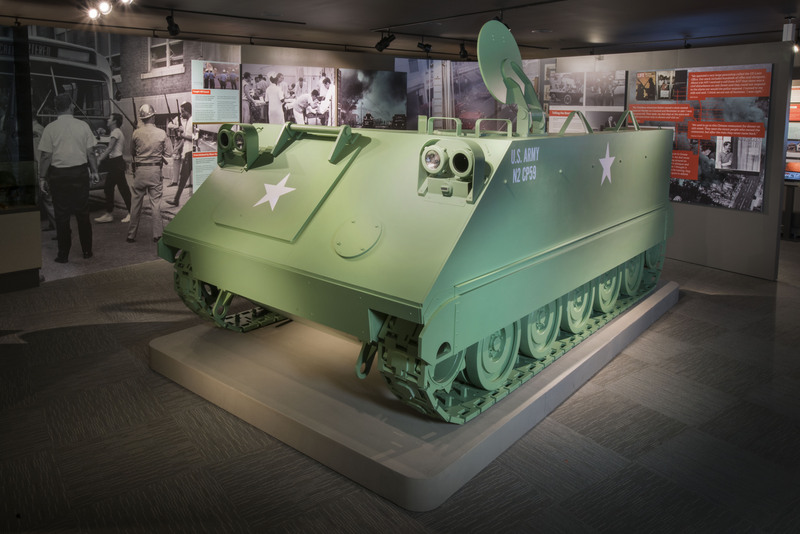 Detroit 67: Perspectives - Detroit Historical Museum The tank display houses an interactive animation based on stories in our oral history collection. Detroit Historical Museum - Exterior The Detroit Historical Museum is located at the corner of Woodward Ave. and Kirby St. in Midtown Detroit. 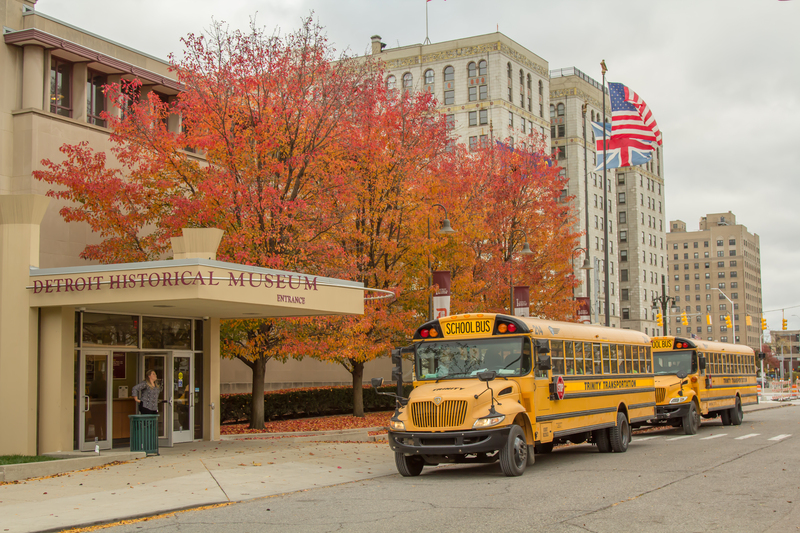 Detroit Historical Museum - School Visit Thousands of school aged children visit the museum every year. Detroit Historical Museum - Kirby Street Entrance Enter the museum on Kirby St. Admission is always free. The Gothic Room City of Detroit III Bell - Dossin Great Lakes Museum One of the only items that you can't touch, the bell is one of the larger artifacts taken from the ship. Dossin Great Lakes Museum Visit our maritime museum on Belle Isle.